The only department that will work is a sales department. So all the shipments confirmed for the weeks 31 and 32 will be delivered on a regular basis. 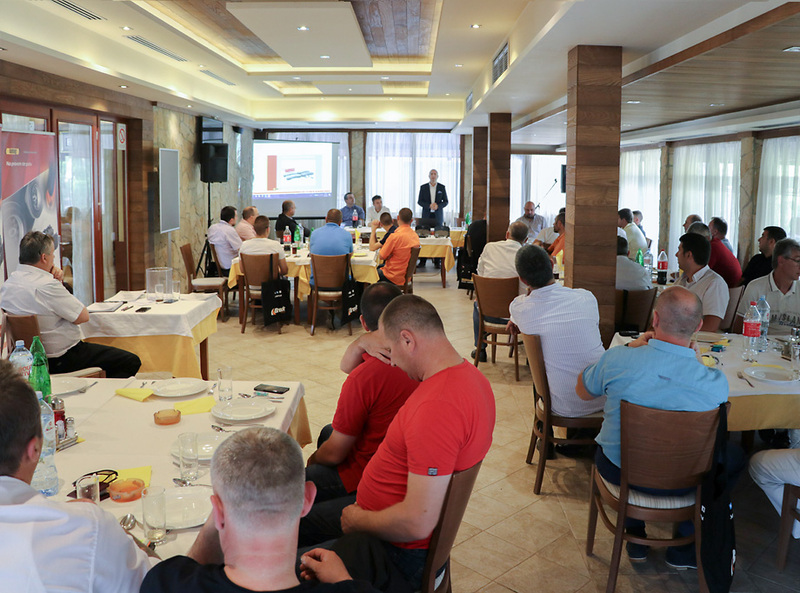 At the end of June Lumag and its two Serbian distributors – Simplex and Technopspromet – organized a seminar in Serbia entitled “Lumag for Truck”. The seminar was addressed to current and future Lumag customers. The list of participants included owners of Serbian service stations and trucking companies. The current Lumag range for trucks was presented during the meeting together with the latest technical solutions and new products of the brand. Considering that the meeting took place on Thursday afternoon in blistering heat of over 35 degrees Celsius, we can surely state that both the turnout and the level of interest in the Lumag product range were very high. We would like to stress the input and help in organizing the seminar with Lumag customers provided by our distributors – Simplex and Technopspromet companies.